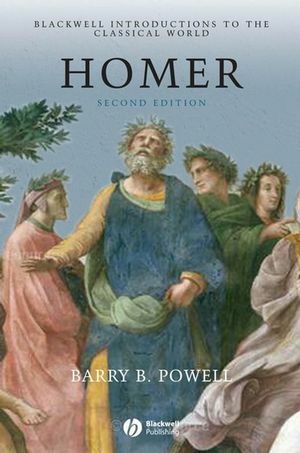 This concise book is a complete and contemporary introduction to Homer and his two master-works, the Iliad and the Odyssey. It explains the “Homeric Question,” illuminating its current status, and critiques the literary qualities of the Iliad and the Odyssey, analyzing and contrasting their plotting, narrative technique, and characterization. Barry B. Powell is Halls-Bascom Professor of Classics at the University of Wisconsin–Madison. His previous publications include Homer and the Origin of the Greek Alphabet (1991), A Short Introduction to Classical Myth (2001), Writing and the Origins of Greek Literature (2002), Classical Myth (fourth edition, 2004), and The Greeks: History, Culture, and Society (with Ian Morris, 2005). 6. Conclusion and Summary: Homer's Complementary Poems. 7. Homer and The Philosophers. 8. Homer and The Poets.